1. 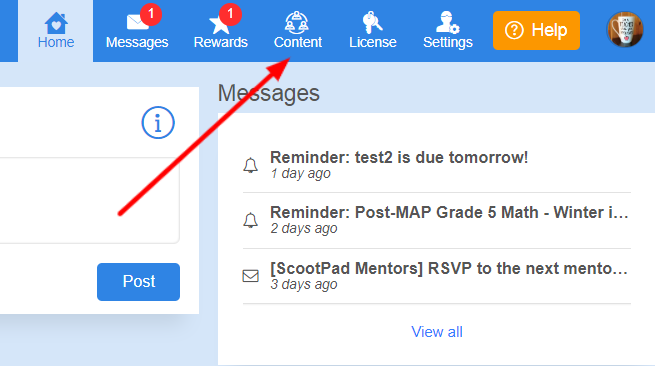 Click on content on the Navigation Bar. 2. Click on Custom Assessments, Benchmark Assessments or Entry and Exit Tickets. 3. 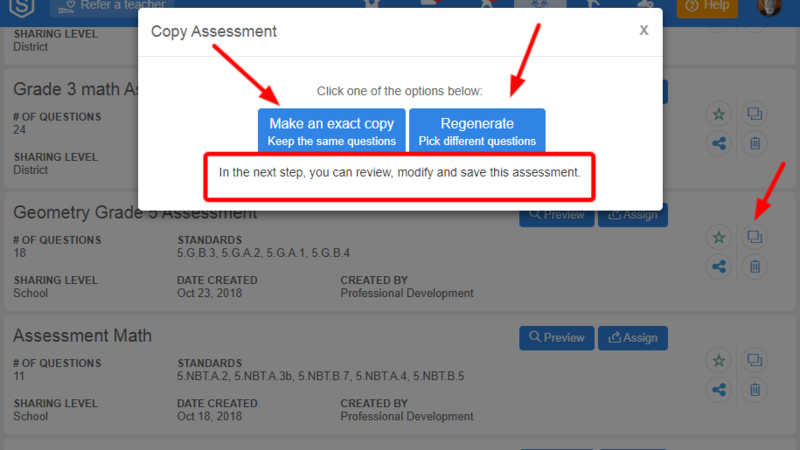 Locate the assessment you would like to copy and click the icon for copy. 4. There will be 2 options. Choose to make an exact copy which keeps the SAME questions or to regenerate the assessment and pick DIFFERENT questions.